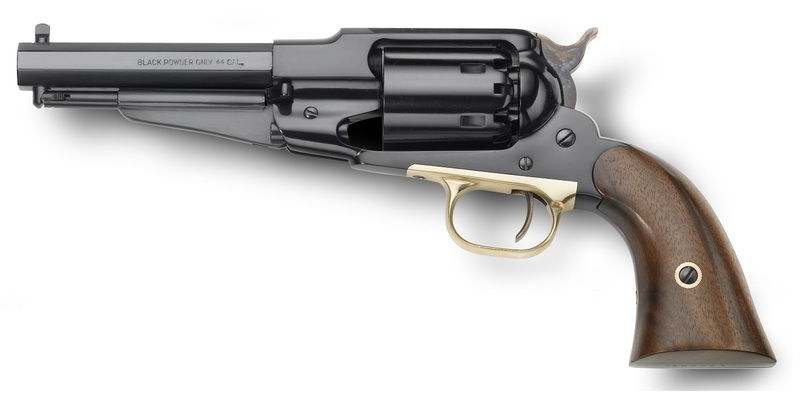 The ruggedness of the solid frame and the ability to quickly change cylinders made the Remington Army a favorite of officers and infantry alike during the Civil War. 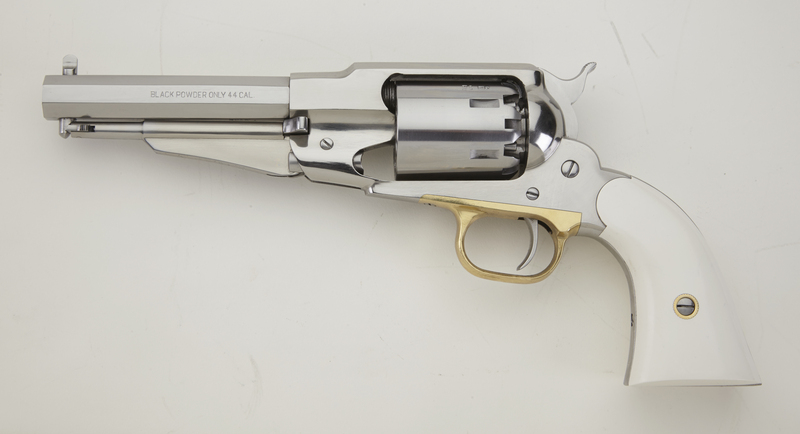 More than 125,000 of these revolvers were produced by Remington. EMF offers this piece of history in your choice of brass, steel or stainless steel. Manufactured by F.LLI Pietta. 1858 BUFFALO BILL COMMEMORATIVE .44 8"
1858 HARTFORD REMINGTON BRASS ARMY .44 8"
1858 REMINGTON SHERIFF .44 5 1/2"
1858 ARMY DLX LIGHT LASER ENGRAVED .44 8"
1858 REMINGTON STAINLESS STEEL ARMY .44 8"
1858 REMINGTON STEEL SHERIFF .36 6 1/2"
1858 REMINGTON STEEL SHERIFF .44 5 1/2"
1858 REMINGTON TARGET MODEL .44 8"